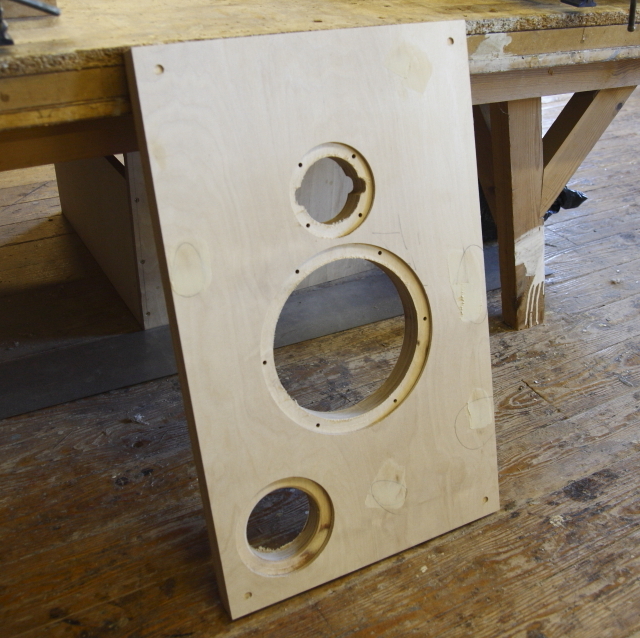 Working on the hand crafted Reference Rhapsody Loudspeaker stands. 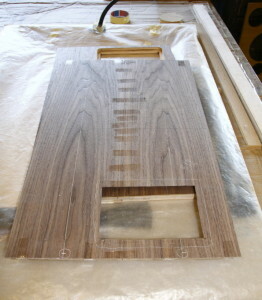 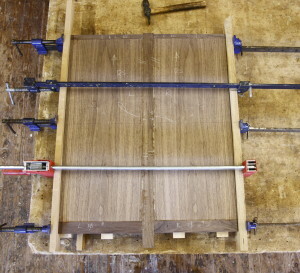 Once each loudspeaker panel has been veneered and all jointing rebates cut into the rear of them, the walnut framing (see Post Nr 2: the framing material was selected and cut from a single plank of premium grade Walnut) is glued into place. 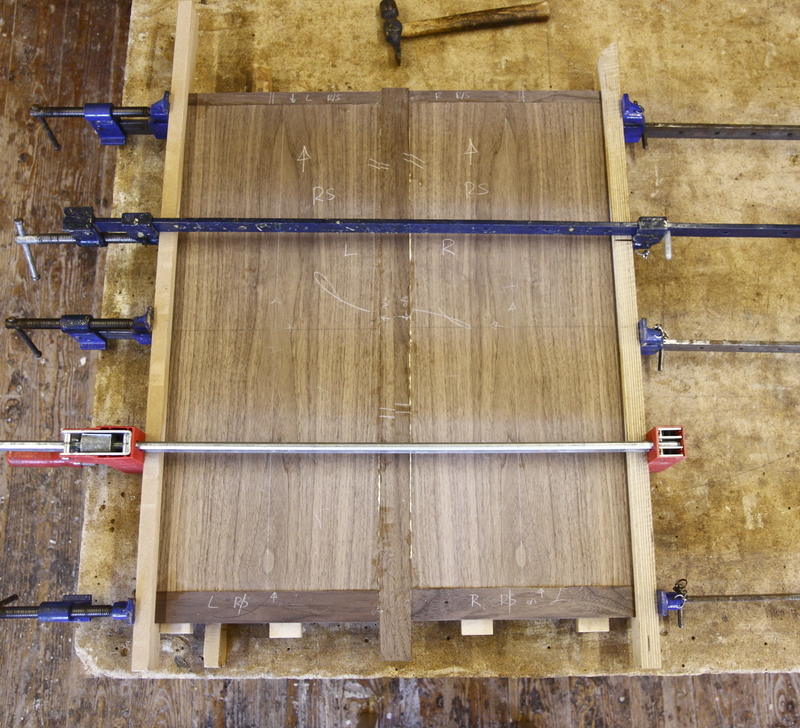 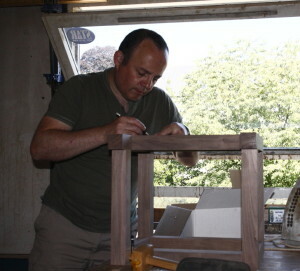 Here we have two veneered side panels fitted with walnut frame edging gluing up in the sash clamps. 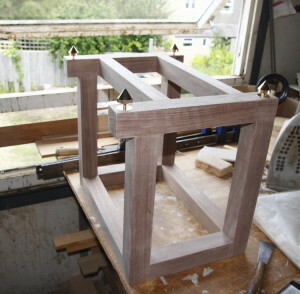 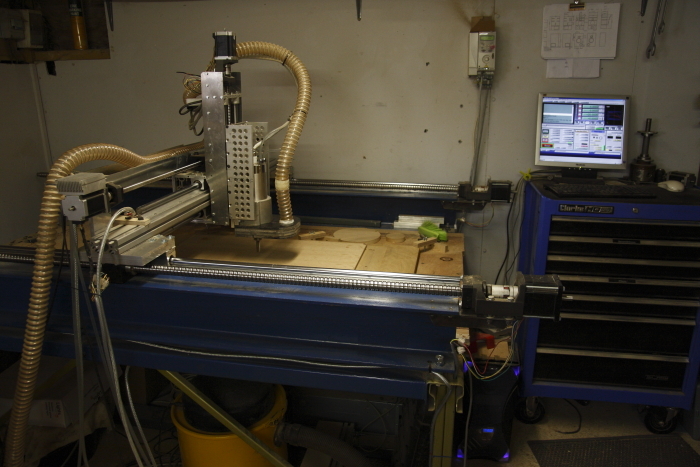 Once glued, the frame will be planed to final size and the edges rounded with a router prior to the back faces being cut through to accept jointing biscuits (the joints are cut through the frame and into to the plywood making for an exceptionally rigid cabinet once the panels are all fitted around the internal bracing). On the next build post, we’ll follow up with the cabinets coming together and cabinet finishing works prior to fitting out with internal components.